The chapter was installed at FSU on March 16. Eligible inductees included juniors, seniors, graduate students, faculty, professional staff and alumni who have achieved scholarly distinction. Membership to Phi Kappa Phi is by invitation only. The top 7.5 percent of juniors and the top 10 percent of seniors and graduate students were invited for membership. Founded in 1897 at the University of Maine, the honor society has chapters on more than 300 campuses and initiates approximately 30,000 new members each year. FSU’s Phi Kappa Phi chapter is coordinated by Dr. Gregory Wood, associate professor of history and director of the University’s Honors Program. For more information, email him at gwood@frostburg.edu. Phi Kappa Phi’s mission is “To recognize and promote academic excellence in all fields of higher education and to engage the community of scholars in service to others.” Since its founding, more than 1.5 million members have been initiated into the honor society. Some of the organization's more notable members include former President Jimmy Carter, NASA astronaut Wendy Lawrence, novelist John Grisham and YouTube cofounder Chad Hurley. For more information about Phi Kappa Phi, visit www.PhiKappaPhi.org. 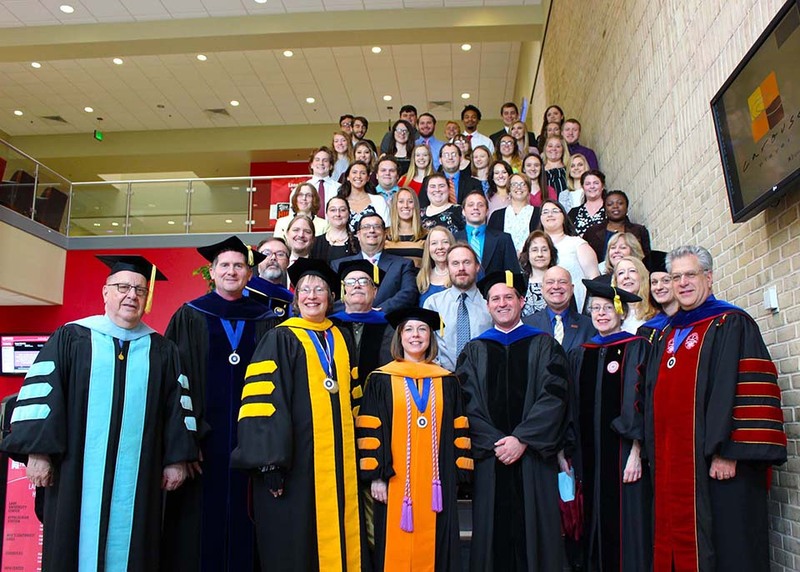 Frostburg State University inducted its first class into Phi Kappa Phi, the nation’s oldest and most selective all-discipline collegiate honor society, recognizing 70 undergraduate and graduate students and 10 faculty members on May 19.